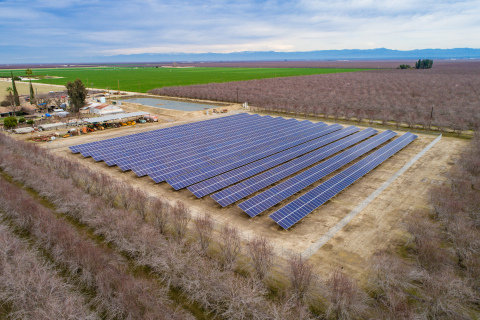 MILL VALLEY & VISALIA, CA.--(eSolarEnergyNews)--With shared expertise in designing, permitting, building and optimizing solar energy systems for agricultural operations, SunLink Corporation and CalCom Solar have successfully completed three solar projects in Shafter and Wasco, Calif. – the first in a larger Central Valley portfolio of installations. SunLink Corporation brings powerful solar energy solutions to market through innovative, highly engineered products, in-demand customer services and best-of-breed software that make solar PV electricity easier, safer, more reliable and less expensive to install. In addition to bringing to market well-designed products that are agile in their implementation, the company leverages unparalleled R&D, a legacy of more than a GW of successful projects, state-of-the-art engineering and creative problem solving to develop optimized, full-scope product+service+software solutions for roof and ground-mount solar projects of every size and complexity. It is this unique combination of trusted insights, products, services and EnTech convergence that helps solar developers and installers overcome obstacles and furthers the industry’s shared mission of advancing universal solar power adoption. For more information, visit www.sunlink.com or follow twitter.com/sunlink.